SAO PAULO (AP) — Rising homicide rates are damaging Brazil’s economy and leading to skyrocketing public security costs, according to a study released Monday. Beyond the emotional toll on families and communities, homicides between 1996 and 2015 robbed the country of more than US$119 billion in potential productive capacity, according to a study prepared by the Brazilian government with contributions from Rio de Janeiro-based think tank Igarape. Over that period, both public and private security costs tripled. The overall costs of criminality in Brazil, Latin America’s most populous nation, are equivalent to about 4 percent of gross domestic product, according to the study. “It paints a very disturbing picture,” said Robert Muggah, Igarape’s research director, adding that the report used conservative baselines and thus the actual toll may be much higher. The report reviewed government data on local, state and federal security expenditures, along with figures on workers in private security, incarceration costs and average productivity of workers of all ages. 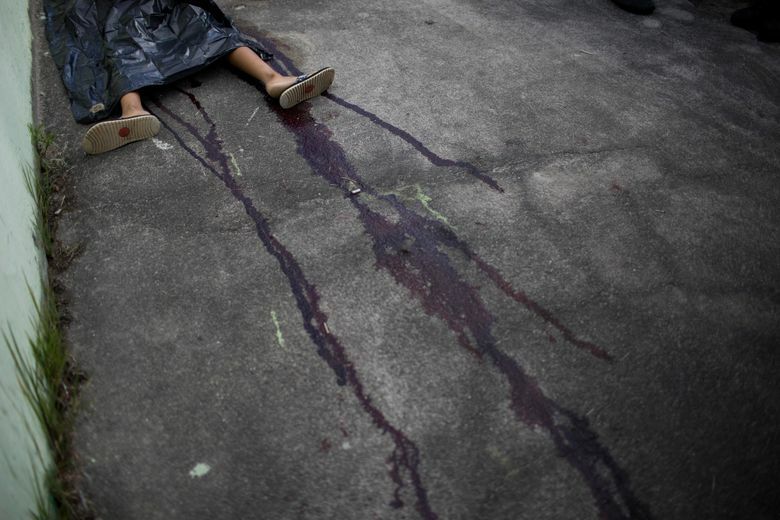 In brute numbers, Brazil has long had more homicides each year than any other nation. The country’s murder rate puts it on a par with countries like the Dominican Republic, Rwanda, South Africa and the Democratic Republic of the Congo, according to Igarape. Between 1996 and 2015, the average number of homicides jumped from 35,000 to more than 54,000 each year. That represents a 54 percent increase in murders while the population was growing by 40 percent. This story has been corrected to show that the study was prepared by Brazilian government with contributions from Igarape.